Who Could Be Against Background Checks? The last few years have been tragic ones in America. We have seen several massacres that have been the result of mentally ill or otherwise disturbed individuals who should not have had access to guns. Many people ask: “How can you be against background checks?” It’s a complex issue, so let’s look at it in depth. The 2012 Aurora, CO theater murderer, who was mentally ill, legally obtained his firearms and passed a background check. Same with the suspect in the Virginia Tech massacre. The Sandy Hook school shooter murdered his mother and stole her guns. A background check prevented none of these shootings. Outlawing me, a responsible citizen, concealed weapons permit holder, and former law enforcement official, from buying a pistol in the parking lot of a pizza restaurant (and I’ve done so) would do little to stem gun violence. Many of us in the law abiding gun-owning community are against universal background checks. Gov. Sandoval rejected SB 221 in 2013 that would have required universal background checks among other measures. In his rejection statement, he quoted the Nevada Sheriffs’ and Chiefs’ Association: “The sections of SB 221 requiring mandatory background checks on private sales place an unreasonable burden on law-abiding citizens, with the potential to make them criminals. It would be unenforceable by law enforcement. It is our opinion that this bill would do little to keep firearms out of the hands of criminals.” Criminals are such because they break the law; they will not obey a law that prevents them from what they intend to achieve, be it legal or illegal. 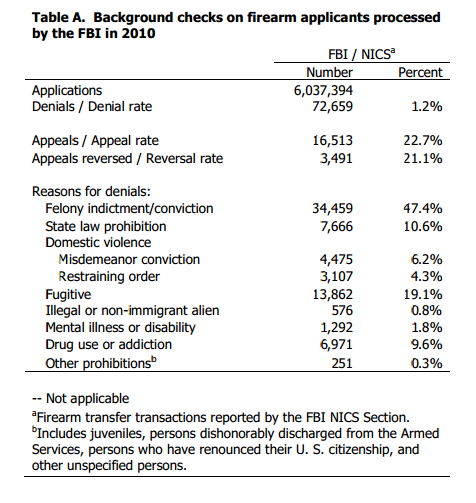 For those that don’t know it, here is how the background check process in Nevada works: once you have selected a gun for purchase, you fill out a BATFE form 4473  and a phone call is made to the Nevada Point-of-Sale Firearms Program by the firearms dealer (rather than the federal National Instant Criminal Background Check System, or NICS). Excluding hold times, most law-abiding citizens are approved within a few (like 2-5 minutes) of calling. Approval is either granted, delayed (when further research is needed), or denied. 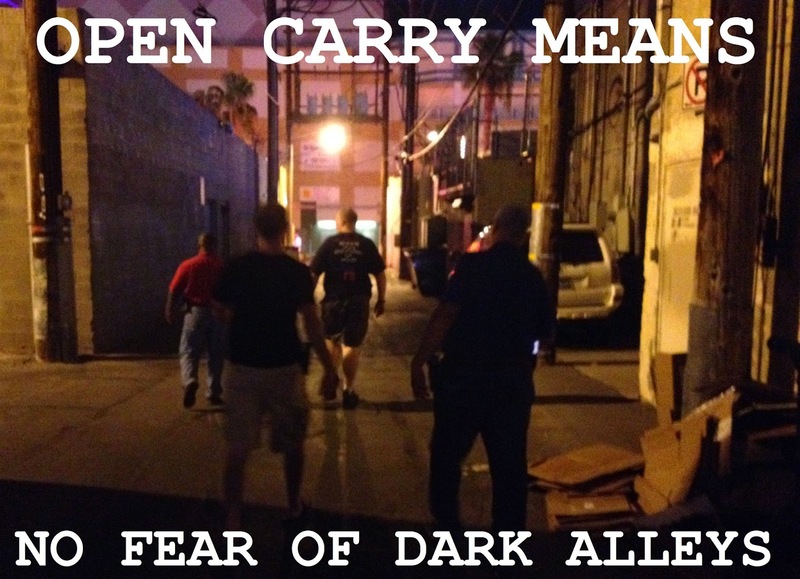 It costs $25 per check, unless one has a valid Nevada concealed firearms permit. NRS 202.254  allows individuals to make the checks themselves, on a voluntary basis, though the actual procedure is not clear. President Obama stated that “as many as 40% of guns are purchased without a background check.” John Lott debunks this notion here , stating that the number is closer to 10%, specifically by subtracting “guns that were bought, traded, borrowed, rented, issued as a requirement of the job, or won through raffles, 85 percent went through FFLs; just 15 percent were transferred without a background check. If you include these transfers either through FFLs or from family members, the remaining transfers falls to 11.5 percent.” He also details how the study where the statistic comes from was flawed. While those figures are outdated, surely 40% is not accurate even today. So let’s look at the 10% (for the sake of argument) of guns that are sold in private party sales. Private gun sales to criminals is not the leading way they get their guns. Me buying grandpa’s old Colt at a garage sale is not the same as a drug dealer buying an Uzi from the back of a truck. Guns bought legally from dealers are generally not the guns used in crimes. “ATF officials say that only about 8% of the nation's 124,000 retail gun dealers sell the majority of handguns that are used in crimes.” This would probably be due, in part, to background checks and strong ethics of the dealers. This begs the question: shouldn't that support universal background checks? Yet “illegal activity by those licensed to sell guns [...] is a huge source of crime guns and greatly surpasses the sale of guns stolen.” So if corrupt dealers don't abide by the system that America has placed its faith in, how would that same system expanded prevent a large segment of people with a lot less oversight and less to lose from engaging in illegal gun sales? Clearly, background checks didn’t prevent licensed dealers from abusing the system them are an integral part of. So what are we preventing here? I am not arguing against in-store background checks; I think that since the majority of gun sales occur there, it’s good system for keeping honest people honest and making life more difficult for bad guys. I can pass a background check easily, and thanks to Nevada not having a waiting person and allowing me (as a concealed firearms permit holder) to skip the $25 fee, I don’t mind. I do mind when a useless background check system for face-to-face transfers that can’t be enforced is instituted. The idea of private background checks is analogous to buying a car. Both guns and cars, if used improperly, can injure and kill innocent people. A background check for a private sale is a bit like requiring you to go to the DMV first to prove you have a valid license and make sure the car isn’t stolen. Who would agree to that? While guns are a bit different, a gun is still simply an inanimate object. It is the owner who chooses what to do with it, just as a drunk driver has the choice to get behind the wheel. No law has ever prevented a drunk, determined to drive, from getting behind the wheel. A law can only deter the honest and punish those who break it. I obey the law because I enjoy not being fined, imprisoned, and shamed. So what does the background check accomplish when it stops a bad guy from buying a gun? In 2010, the FBI conducted 6 millions checks and referred about 1%, or 76,142 cases to the ATF for further investigation. 4,732 of these were referred to field offices for further investigation. 4,184 cases were declined by the ATF field offices. Only 62 cases were referred to prosecution, with 13 leading to guilty pleas. 18 cases were declined by the prosecutor while the rest were either pending or pled out. So 44 cases led to (probable) punishment of some sort. 44 cases out of 4,732 with enough merit for an investigation and 44 cases out of 76,142 referrals. Why isn't the government prosecuting more people for trying to buy guns? Aren't there laws against attempting a crime? I think attempting to illegally possess a gun would count. Quite frankly, if we truly want to deter this kind of behavior, we should at least prosecute prohibited persons from trying to get a gun. We prohibit people from trying to get lots of illegal stuff. Ever see a prostitution sting? And shouldn't law enforcement be concerned about prohibited persons trying to get guns? I say the fact they are trying to buy a gun needs to be investigated and followed-up on to see if they obtain one through other means. If it is truly a case of ignorance of the law, then we can move on, but most felons (47.4%) of all denials know better, and the next category, restrained persons or domestic violence offenders probably shouldn't have guns either. If my neighbor, a felon with a record for shooting his neighbors, tried to buy a gun, I’d be a little concerned, especially if we’ve been having a tiff over which side of the driveway the trashcans go on. I would hope his parole officer would show up a few times a month and do some searches. Criminals either get a straw purchaser to buy a gun or they steal them. Black market gun dealers and unscrupulous friends and relatives giving guns to felons, thieves, robbers, drug dealers, and gang members won’t bother with a background check. “Oh, sorry bro, you got that felony from when you beat up that girl behind the casino. I can’t sell this to you.” Laughable, right? Now, what was the process that SB 221 sought to institute? Anyone except a concealed firearms permit holder would have to go through a background check. Surely a licensed dealer could do this, for the state fee, of course, any maybe a transfer fee of their own (as many dealers require for current out-of-state transfers). If I wanted to make sure that the kindly old man who wanted to buy my firearm was indeed allowed to possess one, how would I do it? Under current law, I’m not sure how. The NRS doesn’t tell you and neither does the state background check webpage. Google didn’t give me a quick answer the phone number is for dealers only. Am I supposed to send a letter to “The Central Repository” in Carson City and wait for a response? We live in the 21st Century; an instant check on a secure web portal or a phone call 24/7 would be the way to go, but I doubt anyone thought that far. Prosecute prohibited persons who attempt to get guns; create new laws if necessary. Let the ignorant go and throw the book at those who knew better than to try. Identify straw purchasers and prosecute them. Shut down dealers who knowingly permit straw purchases. Fix the mental health reporting system so that the truly dangerous are institutionalized, forcibly if necessary. If violent or potentially dangerous mentally ill persons are on the streets, they are a danger to public safety and need to be taken away, just like we would quarantine a plague patient. More good guys with guns. Only good can stop evil. Universal background checks do little to stop criminals and potential psychopaths from getting guns. They make law-abiding citizens into potential criminals and unnecessarily complicate our lives. An unenforceable law is just a waste of paper. Universal background checks are just another feature in the ‘feel-good, do nothing’ of the moment. It’s another wave on the shore eroding our right to keep and bear arms. *Relatives should know if their loved one is prohibited from possessing a firearm; if they don’t know their loved one well enough to know that, then they don’t know them well enough to entrust a firearm to them. The rates of relatives engaging in straw purchasers should be enough to debunk the idea that regulating family transfers would reduce gun violence, anymore than making it illegal for alcoholics to have access to their relative’s car keys would prevent DUIs. The Violence Policy Center’s 2014 reported titled “Gun Deaths Outpace Motor Vehicle Deaths in 14 States and the District of Columbia in 2011” is on its face a disingenuous study. First, it compares mainly motor vehicle accidents to mainly intentional acts with firearms (murders and suicides). Secondly, firearms are intended by their very nature to kill, while autos are intended for transportation. As firearms are intended for self-defense and hunting, not murder and suicide, and cars meant for safe operation from origin to destination, not reckless operation, these two types of death cannot be compared. In mathematics, there is a symbol for this kind of comparison: ≠. The purpose of this study is to promulgate gun control, through training and registration akin to motor vehicle laws. And ultimately, the premise behind gun control, whether it is explicitly stated or acknowledged, is to remove firearms from the hands of the citizenry. Per the report, Nevada had 376 gun deaths and 281 motor vehicle deaths. Let’s break this down. In 2011, only 75 murders in Nevada were committed with firearms. Out of 129 murders, 54 were committed with non-firearms. 301 of the cited gun deaths would be either suicide or accidental gun deaths, with the majority (by anecdotal evidence) being suicide. Actual numbers of gun suicides in Nevada during 2011 were unavailable. In 2011, there were 516 suicides (by any method) in Nevada. Nevada “has long has one of the highest suicide rates in the nation,’ ‘nearly double the national average.” More Nevadans die by suicide than by homicide or car accidents. Never mind that the all-time high for traffic deaths in Nevada was 432 in 2006 . So if gun deaths and motor vehicle deaths correlate, let’s look at 2006: In 2006, 480 Nevadans took their own lives, 52.7 percent using a firearm , compared with a murder rate of 224 (by any method) . Again, 253 gun suicides exceed 224 all murders totaled up. Traffic deaths rise and fall, just as murder rates do. So in 2006, driving a car was more likely to kill a Nevadan than a gun. Suicide is a choice that a desperate person will make whether they have access to firearm or not. Firearms merely make the suicide easier. While guns were used in most deaths, the individual made the choice to end their lives; it was not taken by accident or by malice. Almost half of suicides were done by other means. Suicides should be removed from these gun death statistics because the studies imply violence to others and suicide takes one life. While suicide is heartbreakingly tragic, if one method is removed, persons will choose another. Nevada does have a high rate of suicides, but it is mental health that is to blame, not firearms—any more than ropes, medication, and knives are to blame. And how would someone who legally possesses a firearm under any law—proposed or existing—be prevented from using it to kill themself? Several of the states on the list have strict gun control regimes: the District of Columbia, Illinois, and Maryland. Illinois comes in #11 with 377 gun murders in 2011, Maryland #16 with 272, and Washington DC #31 with 77. Nevada was #32 with 75. The Census Bureau reports a population of 601,723 for Washington DC in 2010, while Nevada had a population of 2,700,551. Nevada’s population is 4.5 times the size of DC and yet has roughly the same number of gun murders; Nevada allows open carry of firearms and is a shall-issue state for concealed weapon permits, while DC (in practical terms) allows neither and strictly regulates firearms. California also has very strict firearms laws, yet rates 13th for gun murders. The study includes a graph, showing firearm and motor vehicle deaths from 1999 to 2011. It shows firearms deaths remaining at a fairly steady level, while motor vehicle deaths drop by 10,000 over the near decade. No reason is given for this drop, but it is clear from their own studies and others readily available that motor vehicle deaths have been on a steady decline. Look at the innovations that have been made in that decade; the proliferation of cell phone ownership and coverage, GPS, and more safety features like backup sensors and cameras, side curtain airbags, seatbelt pre-tensioners, etc. The report posits that the decline in traffic deaths since 1966 is due in part to the National Highway Traffic Safety Administration (NHTSA), improved automotive and roadway safety technology, mandatory seat belt laws, and graduated licensing. In short, improved technology, uniform standards, and increased regulation. This is an unspoken comparison to what they come to in their conclusion. The report states that Americans spend more time driving than they do shooting, as well as greater existing regulations on auto manufacture than firearms. By inference, Americans are dangerous and untrained with firearms since they aren't used several times daily. In other words, gun control. First off, there are minimum safety standards present in many states  (though the rest of California's gun control scheme is absurd) and manufactures must provide a safe product. A firearm which is unsafe to use due to lax manufacturing standards or poor material is a liability and if it doesn’t work properly, would be disastrous to sales. Unsafe guns are bad for business. Background checks? Where are the reports of a felon failing a background check for his gun purchase being arrested for trying to buy a gun? Sure, we arrest unlicensed drivers and impound their cars; however does this deter unlicensed driving and reduce traffic deaths? Probably not, but though there is probably a dearth of statistics to prove either side of that argument. Let’s look at DUIs. “The risk of a driver who has one or more DWI convictions becoming involved in a fatal crash is about 1.4 times the risk of a driver with no DWI conviction.” It’s against the law, they’ve been arrested before, yet they still choose to drive drunk. “Military-style assault weapons” is a misnomer; many of the features of an “assault weapon” are cosmetic only and do not affect the function of the weapon. A true assault weapon, an assault rifle, must feature automatic fire, already highly restricted by federal and some state laws. Restrictions on carrying guns in public are non-sense; guns carried in public generally cause a drop in crime. Prohibiting such carrying is an unconstitutional infringement of the 2nd Amendment and the natural right of self-defense. Is a drop in gun deaths, but a rise in violent crime, acceptable to save lives from gun murder and suicide? When has a law ever deterred someone who was intent on committing a crime or who, in a fit of passion, had no regard for the criminality of their actions? Motor vehicle deaths cannot be compared to firearms deaths because the two are entirely different subjects. Only murder and drunk driving have a correlation in their malignancy and neither can be reliably prevented. Suicides should not be counted in the total because they are choices that cannot be prevented by law or regulation; just as drunk driving cannot be prevented, only deterred and detected. Broken human minds cannot be regulated like cars. Returning to the central theme of the report, it is not about traffic deaths or motor vehicle deaths. Its unspoken premise is to suggest that since we highly regulate cars and driving, that more regulation on firearms would lead to less deaths. As was pointed out above, their suggestions are invasive and ineffective, just as intending to limit traffic deaths by lowering the speed limit or mandating helmets in cars would be. One cannot regulate away death.